For automatic shutoff of air ducts when the fan is off. Backdraft prevention when mechanical ventilation is off. Compatible with Tower-H, Tower-V, Tower-H EC, Tower-V EC roof fans. The casing and the rotary blade are made of galvanized steel. Gravity actuated damper (the damper rotary blade is opened by air pressure and reset automatically when the fan is off and no air pressure is produced). 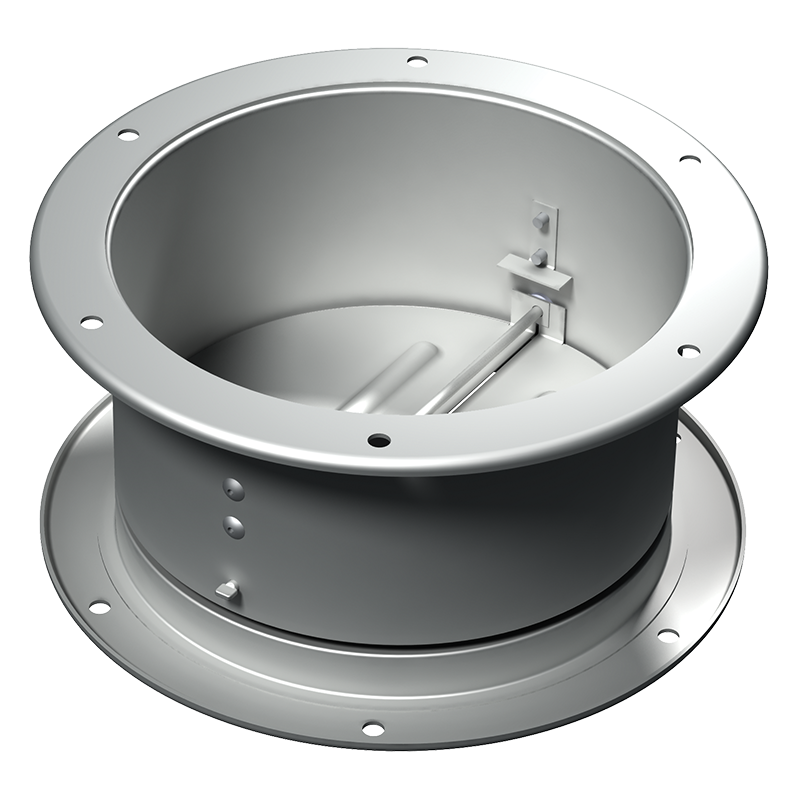 The damper is equipped with the flanges for connection to the roof fan, the VDL flexible connector or the FDL counterflange.